Do you want yummy and healthy breakfast? In the morning you don’t have time? Then a simple breakfast of overnight oats can rescue. Overnight oats make morning mealtime easier because it is prepared in the evening before. It is also great breakfast on the way (if you are really in the hurry). These oats would make the perfect breakfast, especially for those of you with hectic mornings. You can also adjust this recipe to your taste. Toppings: strawberries, raspberries, blueberries, sliced banana, cherries or other fruits. You can also add granola. 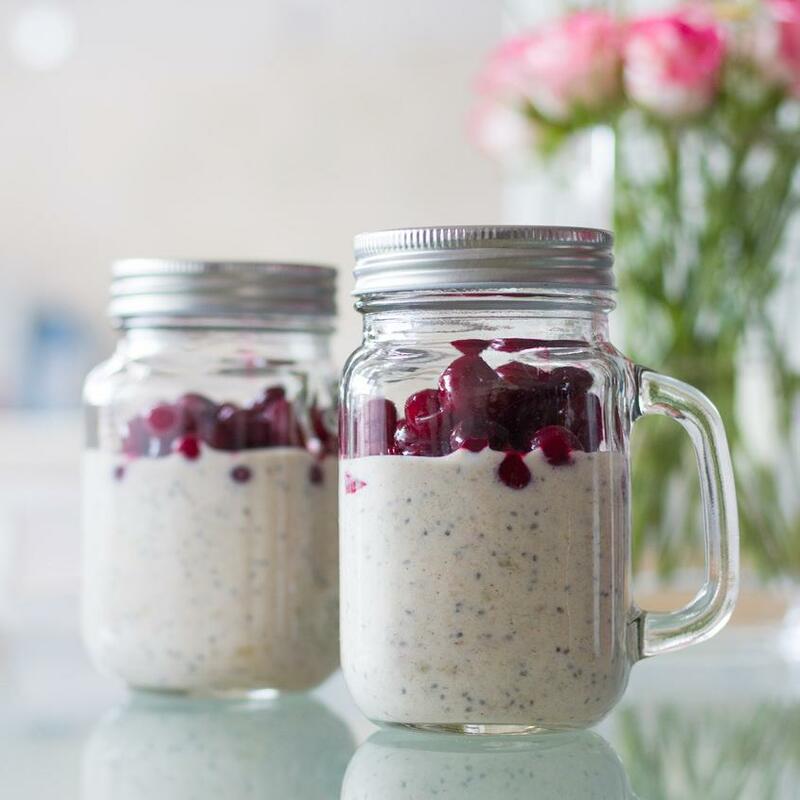 Add milk, oats, yogurt, chia seeds, banana, honey, salt, and cinnamon to a jar or container and give them a good stir. Garnish with desired toppings (see options above). Cover securely with a lid or plastic wrap and set in the refrigerator overnight. The next day, open and enjoy as is. If you give these a try, leave a comment below. Overnight oats are such a tasty and easy summer breakfast! Love these!! Haven’t made them in a while! But look so good!